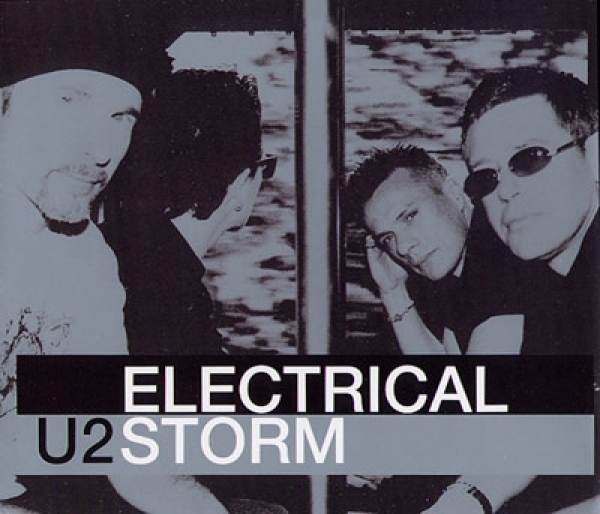 Electrical Storm went to air sooner than planned, after Bono sent a demo of the track to a pal on her wedding day - which was appropriate as there was a severe thunder and lightning storm raging at the time. Since the friend was a radio DJ, sharp-eared listeners in the UK were treated to a demo of the new track, two months before release. One of two new tracks and the only single release from the band's second compilation album, The Best of 1990-2000, 'Electrical Storm' is about the tension between two lovers, the coming storm in their relationship. In Anton Corbijn's filmic video, the lovers are played by Larry Mullen Jr and Samantha Morton. The 'Best of' album features the 'William Orbit Mix' of the track while a 'Band Version', mixed by Carl Glanville, appears on a b-sides bonus disc. 'Electrical Storm' was an attempt to capture a sense of unease I was feeling around the world, especially in America, an air of nervous anticipation. It's really about a couple in a room, feeling a storm brewing in the sky outside and equating that to the pressure they feel in their relationship. It's a post-9/11 song but it is not an overtly political song. I had the feeling that if U2 made another big statement about peace, war would break out just to shut us up. A hardened terrorist is not going to put down his weapon because U2 says war is bad.' Bono, in the book 'U2 By U2'.